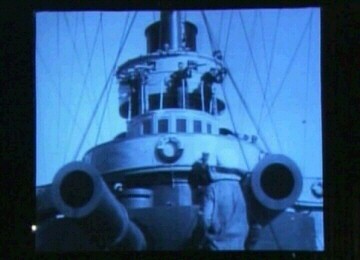 Here you can find the story of the soundrack to the Battleship Potemkin movie, composed by the Pet Shop Boys and performed together with the Dresdner Sinfoniker. It was Philip Dodd, the director of the Institute Of Contemporary Arts, who first approached Neil in April 2003 with this idea. The ICA had been given Trafalgar Square for one night to stage an event, and he suggested that the Pet Shop Boys write a new 73-minute score for Sergei Eisenstein's classic Russian silent movie from 1925 and perform it along with the film. Though it is Neil who has always been deeply fascinated with Russian history, an interest that has seeped into previous Pet Shop Boys songs and performances, he always insists that it was Chris who was keenest on this project. "I didn't think Chris would want to do it," Neil says. "And when I mentioned it to Chris in a very downbeat kind of way, Chris expressed interest in it." "Something different, I suppose," says Chris. "I didn't really want to do it to be honest at the beginning," says Neil. "I thought, it's a lot of work and we won't get paid anything." He laughs. "And it was, and we didn't." "You just get fed up of doing the same thing all the time," says Chris. "If all we'd ever done was trot out albums, one after the other, it'd be really boring. At least we've tried to do different things - even if they're not successful it's good to do them." To work out how they might approach it, they watched the film together twice on DVD. "It was a challenge to see if we could write a long piece of music," says Neil. They wrote the music in order. "We followed the structure of the film," Neil explains. "So the second piece of music, which is called 'Men And Maggots', follows what's happening on the ship - the men are going about their chores but there is an undercurrent of rebellion and violence, and so we have this relatively repetitive piece of music with an undercurrent of violence and dissent, hopefully expressed in the music. Occasionally we put real sounds in - he smashes a plate, we put the sound of a smashed plate. We decided from the word go we were going to have us and electronics and strings. We knew what the arc of the film was and we went with it." 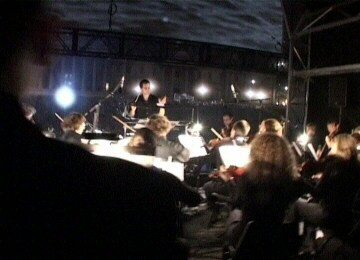 They completed the second half of the score in the spring of 2004. "In main, the lyrics were inspired by the subtitles," says Neil. "So the song 'This Is No Time For Tears'...there's a subtitle: 'this is no time for tears'. I just took it from that". For "After All (The Odessa Steps)" Neil was also influenced by looking at photographs of Trafalgar Square and of all the things that have happened there, and thinking about the whole idea of it as a centre of dissent in Britain. "I'd had this vague idea for an anti-war song - 'if you didn't really understand the rules...how come we went to war?' 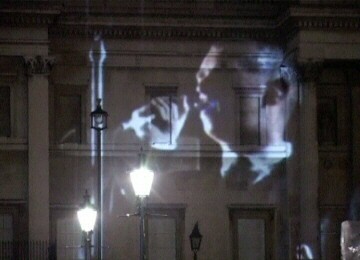 - and I thought it would be quite interesting to have a song that was an expression of dissent in Trafalgar Square. And also it kind of fits with the famous Odessa Steps sequence where they're getting massacred which is kind of like a war anyway." "We used quite a limited palette of sounds actually," says Chris. "We used very few sounds so that it has a coherence from beginning to end. Because when we're doing a pop album, quite often the tracks are completely distinctive. In this there's a continuity in terms of sound." Even once they'd written it they were still slightly sceptical as to whether the finance would come together; for a free event in Trafalgar Square would have to be totally paid for by sponsorship. They asked the German composer, Torsten Rasch, to write the orchestrations because they'd heard his album Mein Herz Brennt based on the music of the German metal band Rammstein. (Neil simply sent an e-mail to the address on the back of the CD and reached the Dresdner Sinfoniker who performed the record. The man who co-runs the orchestra, Sven Helbig, put them in touch with Rasch, who agreed to collaborate.) "Torsten Rasch has a sort of dissonant style," says Neil. "We were intrigued by the idea of trying to take pop music and harmonise it in a much more avant garde kind of way." But his first demos of the orchestration were too dissonant. "We realised that to do that thoroughly we would have to drop out of the project, basically," Neil says. Rasch agreed to rein himself in a little bit. In July, they went to Berlin and recorded the score with the Dresdner Sinfoniker. Eventually, after several delays and crises as sponsorship fell through, it was finally agreed that the piece would have its public premiere. It took place on September 12, 2004, on Trafalgar Square in London. In September 2005, the composition was released on a CD - see the discography.